Michigan Gun Rights Restoration Application - We are NOT afraid to WIN! to assist you in the restoration of your rights. 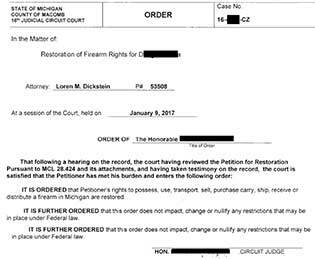 Michigan gun rights restoration application process changed substantially in December, 2015. Prior to that date, each Michigan county had a gun board made up of a member of local law enforcement (generally someone from the county sheriff’s office) , the prosecutor’s office and the Michigan State Police. These gun boards heard all gun related matters in Michigan. There was an appeal to the court system if the petitioner was not satisfied with the Gun Board’s decision. Now, gun boards have been disbanded. Each person who wishes to have their right to possess, use, transport, sell, purchase, carry, ship, receive a firearm must apply to the circuit court in the county where they live for restoration of those rights. paid all fines imposed for the violation. served all terms of imprisonment imposed for the violation. successfully completed probation or parole. show that their record and reputation are such that they are unlikely to act in a manner dangerous to the safety of other people. The intent of the changes in the gun rights restoration procedure was to streamline applications. It was felt that having to resort to a gun board was slowing down the process and that some applications were being denied that should not have been. It remains to be seen if the change from gun boards to a circuit court judge is going to make a difference. It is important to note that a person can only file a petition for gun rights restoration one time per year. So, doing it right the first time is extremely important. This is why legal help is paramount. It is also extremely important to note that even with a full restoration of gun rights in Michigan, a person with a felony conviction is still prohibited from possessing firearms under Federal law (with certain very limited exceptions). Michigan Gun Rights Restoration Application Attorneys — We Can Help You Get Your Gun Rights Restored. 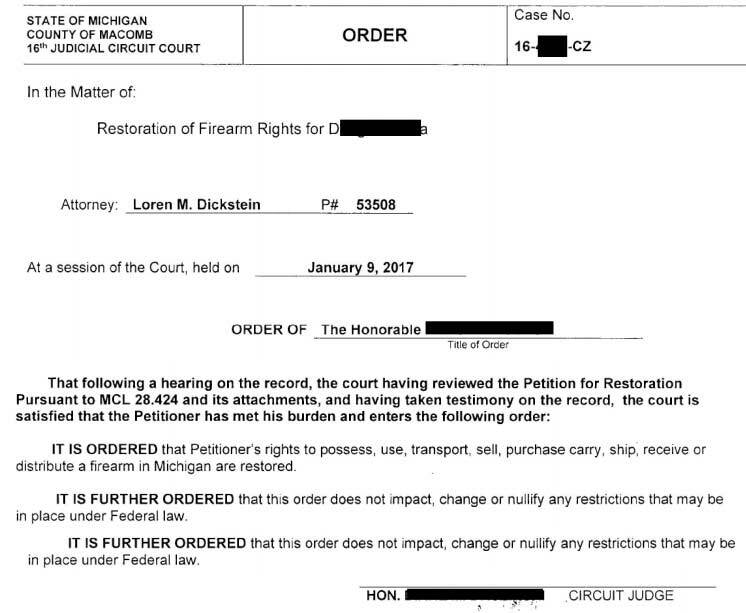 Michigan gun rights restoration application is an important part of our practice at LEWIS & DICKSTEIN, P.L.L.C. We believe that after a person has served their punishment for an offense and the appropriate time has passed that person should be given a complete second chance. This includes restoration of all rights a person loses as a convicted felon (the right to vote, serve on a jury, etc. ), not just firearms rights. The attorneys at LEWIS & DICKSTEIN, P.L.L.C. have had great success in getting our client’s Michigan gun rights restored. 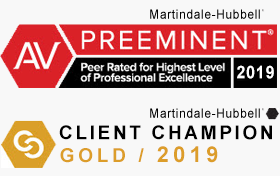 We would be happy to review your situation and determine the proper way to proceed. The attorneys of LEWIS & DICKSTEIN, P.L.L.C. 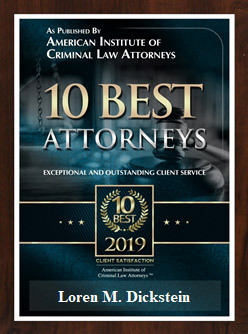 specialize in the protection of people’s right who have been charged with criminal offenses, protecting people who have had their probation or parole violated, and making sure that every person’s rights are protected. We take great pride in this.